For more information on spring swim lessons, click on one of the information links below. If you are ready to register, please click “register now” and click the hyperlink on the lesson you wish to register for. Sea Turtle: (Ratio 1:6) Summer Only: Adult and child are in the water together with an instructor. Emphasizes helping toddlers adjust to the water and fun songs and activities. Sand Dollar: (Ratio 1:3) Class for beginners with emphasis on basic water skills and safety in a comfortable aquatic environment. Sand Crab: (Ratio 1:3) Helps children become more confident in the water, expand on basic water and safety skills and learn the beginner stroke. Sea Horse: (Ratio 1:3) Children will refine beginner strokes and increase swimming competency, be able to swim 20 feet and practice water safety. Sea Star: (Ratio 1:4) This class builds endurance while mastering freestyle technique for 25yds and refines backstroke. Penguin: (Ratio 1:3) Beginner class for children ages 6+. Focus on water adjustment, safety and the basics of freestyle. Otter: (Ratio 1:4) Swimmers learn freestyle, side breathing, body position and balance. Skills include learning freestyle and backstroke, survival floating and deep-water orientation. Seal: (Ratio 1:5) This class expands stroke technique. Teaches the fundamentals of backstroke, jumping in deep water with a life jacket, learning self-rescue skills and how to help others. Increase swimming distance to 50 yards. RSD Prep: (Ratio 1:6) Children learn competency in strokes and safety skills beyond all preceding levels. Emphasis is on building endurance while they continue refinement of freestyle and backstroke. learning the breaststroke. Children will develop maximum efficiency and endurance for strokes, rescue skills, dives and treading water. Introduces Breaststroke and Butterfly and prepares swimmers for our RSD Swim Team! Little Lifeguard Prep: (Ratio 1:4 ages 7-8) Spring Only: Prepares children ages 7-8 for the beach junior lifeguard summer program. This group focuses on the test requirements and basic swimming skills for area junior lifeguard programs. Junior Lifeguard Prep: (Ratio 1:5 ages 9+) Spring Only: Prepares children ages 9+ for the beach Junior lifeguard summer programs. This group focuses on test requirements and swimming endurance for ocean swimming. Pre-Teen (Ratio-1:4) Summer Only: This class is for beginning to intermediate swimmers (11-15 years of age) who are interested in learning to swim with a group of their peers. 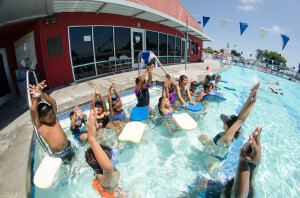 Class will focus on water safety, stroke development and technique. This class runs for 30 minutes. Adult (Ratio-1:4) This class is for beginning adult swimmers (16 years and up). Learn how to swim and be safe in the water; it is never too late to learn this important life skill. This class runs for 30 minutes. Please call for availability. Private Lesson (Ratio-1:1) A one-on-one lesson with our experienced instructors tailored to your child’s individual needs. Get the best personalized instruction with these lessons. The lessons run for 30 minutes. Semi-Private Lesson (Ratio-1:2) Summer Only: Students must know one another, patrons are responsible for finding a partner. 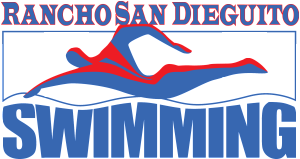 Both swimmers must fall in the same age groups either 3-5 or 6-10. Swimmers should also be of similar swimming ability.The lesson run for 30 minutes. 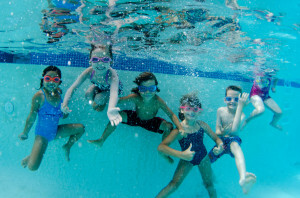 About Make a Splash Consistent with the goal of saving lives and providing every child in America with the opportunity to learn how to swim, Make a Splash, a national child-focused water safety initiative, was created by the USA Swimming Foundation in 2007. Make a Splash partners with learn-to-swim providers across the country to provide swimming lessons and educate kids on the importance of learning how to swim.Many partner programs are located in disadvantaged or ethnically diverse communities and provide training programs (including certified instructors, resources and quality programming) to help children become water-safe and share with them a lifelong physical fitness activity. Make a Splash’s awareness campaign is built around the staggering statistics that minority children ages 5-14 are most at risk for drowning, and drowning is the second leading cause of accidental death for children under the age of 14. 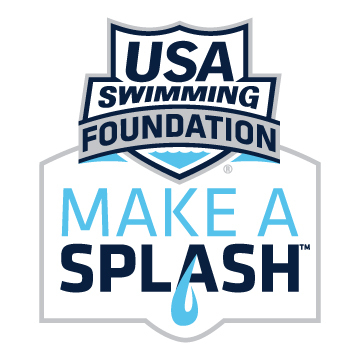 Make a Splash educates parents through a national awareness campaign; saves lives by joining forces with grassroots learn-to-swim programs and reaches millions of children through its programming, promotions and publicity tours.